Anchorage Fur Rendezvous Stories and nostalgic videos from Anchorage, Alaska, home of the largest winter festival in North America. Do You Have A Fur Rendezvous Story? Are you, your family or friends in this film? The name "Fur Rendezvous" came into being when fur trappers got together to sell their furs and kick up a little snow as a way to shake off the long winter in early Anchorage. The following is a color super 8mm silent film. There is no sound. Do you know anyone in this film? Have you ever ridden a Ferris Wheel in the winter when it was below zero outside? That's just one of the fun, and unique attractions Mike and Mary, the authors of Anchorage Memories.com remember enjoying. One year Mike and his brother Tom and their band "The Matadors" played on the Melodrama stage during Rondy for a very happy crowd. And each year, Anchorage's popular 4th Avenue Theater played a movie to compliment the Fur Rendezvous. One year Mike and Mary remember seeing the Charlie Chaplin silent movie "The Gold Rush." Another time, the 4th Avenue played "Joniko and the Kush Ta Ka" an Alaskan movie produced in Juneau, Alaska by film maker, Chuck Keen. 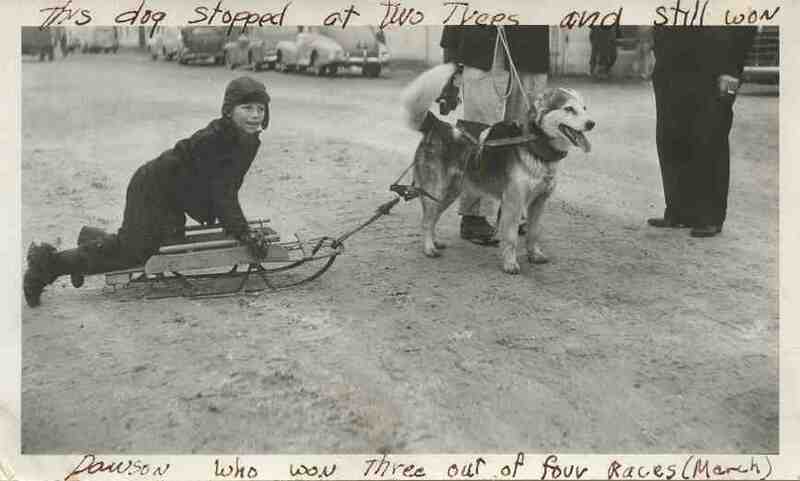 And one year they screened a locally produced movie about an Iditarod dog sled team titled "Hot Foot to Nome." People from around the world travel to Anchorage Alaska each year to experience North America's number one winter carnival. Maybe you visited the great land just to enjoy the festivities. If so, you're invited to post your stories right here. What did you see and do while you were visiting Anchorage? And our website visitors will enjoy reading about your fun memories. Alaska is a very special place and Anchorage's winter carnival is a great experience. Tell us your Anchorage Fur Rendezvous stories. To learn more, visit the Greater Anchorage, Inc website.